I am currently at the world economic forum in Myanmar. 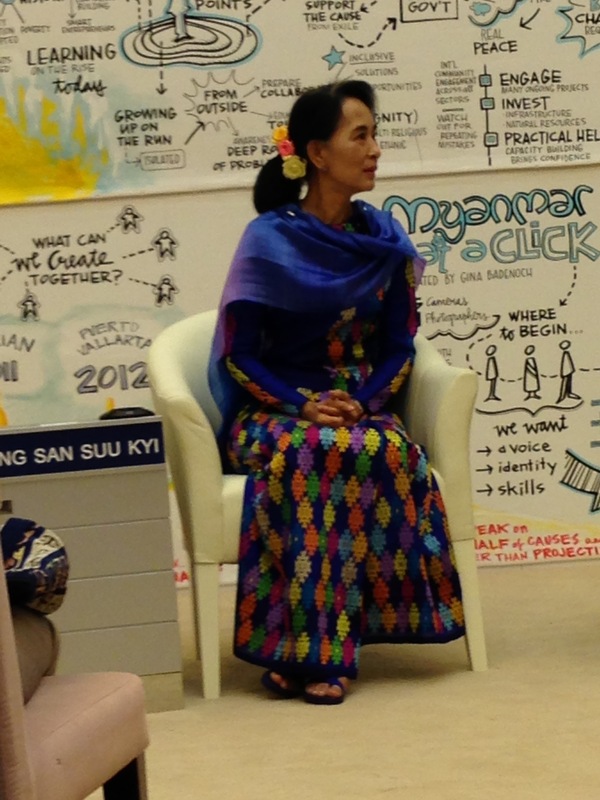 This morning I was unbelievably lucky and was part of a private audience with ASSK. “I am not a saint” was how she started – maybe but she was dignified and graceful and had such a twinkle in her eye, you felt she had the capacity for immense giggles despite all she had been through. I will write up other bits of my trip but she was quite wonderful and inspired me to think more about how I could make a contribution to encourage more women into public life.